I am planning to drive over the Curonian Spit from the Lithuanian side in 2013. I would love to travel on into the Russian side and visit Kaliningrad. Is there a border crossing on the Spit? If not, will I have to travel back up the Lithuanian side and find an alternative crossing into Russian/Kaliningrad? As you say you're going to pass the border at Curonian Spit, you'll be in Klaipeda before this. @Marcel C. already said about the Nida station, but I want to add some information which can be useful for you and others who will view this question. As @Marcel C. said, border station Nida - Morskoe is the best variant for you, if you want to get on Spit. Note that the quality of the road very differs between Lithuanian and Russian sides. Border station works all the time, note that you can't pass it by walk, but you can do that on bicycle. Note that you must use ship to get from Klaipeda to the Spit and to some activities in Klaipeda, say Seamuseum and Dophinarium. By ship Lisco Patria, as I know, they still operating and you can sail with your car. Chernyshevskoye - Kybartai. Border station works all the time, and there are no restrictions about way you travel. In 2009 border station was opened after the reconstruction. 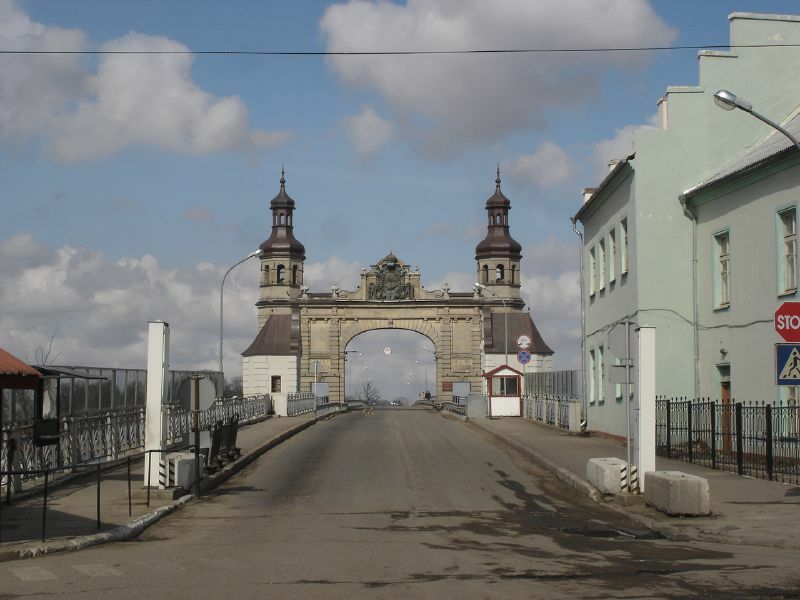 Sovetsk - Panemunė via the Queen Luise bridge. Border station works all the time, and there are no restrictions about way you travel. I should note that where are other way to get to the Kaliningrad from Klaipeda, if you don't want to use your car - international buses are operating between two cities on daily basis. You can find information here (site about the Kaliningrad bus station) and here (site about the international bus line from Kaliningrad). Note that various buses have various stops - some of them will move you across the Klaipeda's bay, some of them will not. There is a border crossing from Lithuania to Russia on the Curonian Spit. It is just south of the village of Nida. You can see the station via the google maps satellite view. If you are not a Russian citizen, you need a Russian visa. This has to be arranged before going there. They won't issue a visa at the Nida border. Not the answer you're looking for? Browse other questions tagged russia borders kaliningrad lithuania curonian-spit or ask your own question.